When you shop at a grocery store or attend a house party, you don’t expect to be injured while on the premises. But accidents happen. That’s why Florida law holds property owners liable when visitors are injured at their house, business or other property (under premises liability law). Property owners have a duty to maintain their property in a safe condition for guests (and sometimes even trespassers). Florida law classifies victims in one of three ways: invitee, licensee or trespasser. The duty of care the property owner owes depends on that legal classification. Owners owe the highest duty of care to people they invite onto their property for business or personal reasons. They owe the lowest duty of care to trespassers who come onto their property illegally. But in some cases an owner can still be liable for a trespasser’s injuries. The dangerous condition is open and obvious. Property owners don’t have a duty to warn customers, guests (or trespassers) about open and obvious dangers. Only concealed dangers require warning. For example, a Florida plaintiff who tripped over a wheel stop in a Home Depot parking lot tried to collect damages for her injuries. But the court ruled that the wheel stop is open and obvious, and that she wasn’t entitled to compensation. The plaintiff assumed the risk. If the plaintiff knew the risks involved in entering the premises, then the property owner might not be liable. For example, imagine that someone visits a haunted house where he knows there will be special effects and characters whose job it is to scare him. He’s seriously scared by the special effects and has a nervous breakdown. He then tries to sue for emotional distress damages. The owner could likely argue that the plaintiff assumed the risks of visiting a haunted house. The plaintiff contributed to his own injury. Like with all Florida negligence claims, premises liability plaintiffs can’t always recover damages if they contributed to their own injuries. Florida is a comparative fault state, which means that the amount of damages plaintiffs receive is reduced by their own percentage of fault. An experienced attorney can help combat any defense the property owner might use to avoid liability. Just be sure to file your lawsuit within the applicable statute of limitations. You have four years from the date of your injury to file the claim. Otherwise you may lose the right to seek damages. Contact a Miami personal injury attorney at The Pendas Law Firm today for a free consultation if you are injured because of a property owner’s negligence. 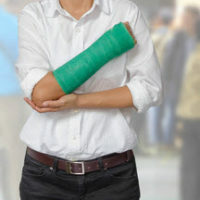 We will help recover compensation for your injuries, including medical expenses, lost wages, and pain and suffering. The Pendas Law Firm also represents clients in the Jacksonville, Fort Myers, West Palm Beach, Orlando, Tampa, Fort Lauderdale, Daytona Beach and Bradenton areas.